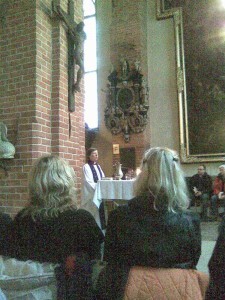 I went to Mass in Stockholm Cathedral midday today. It was presided by Eva Brunne, Bishop of Stockholm. I was pleased to affirm her ministry in this way. Incidentally, I am now under the pastoral care of Irja Askola, Bishop of Helsinki.